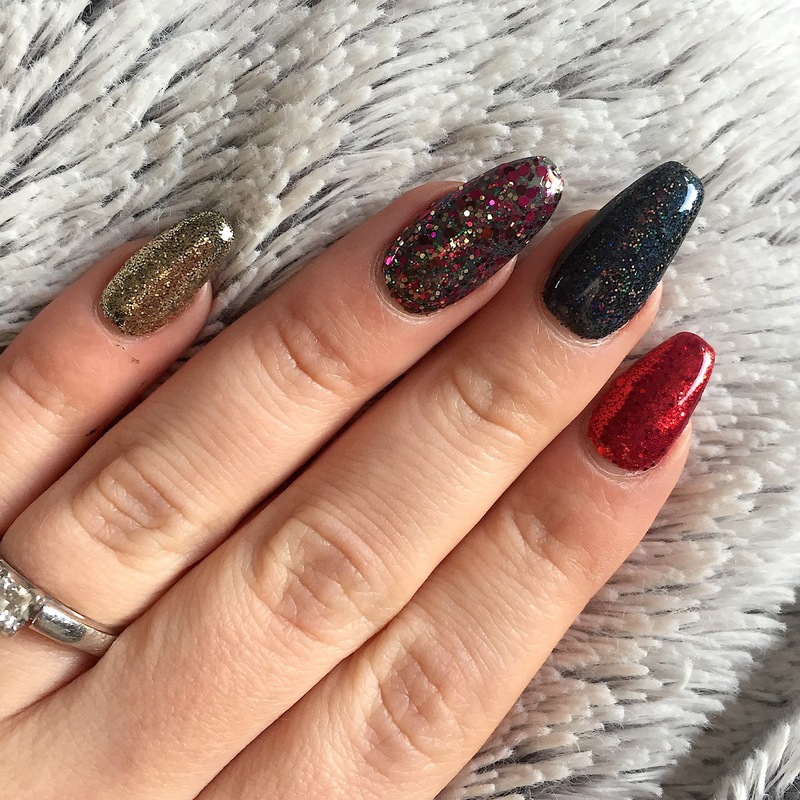 It's time for my Christmas nails! 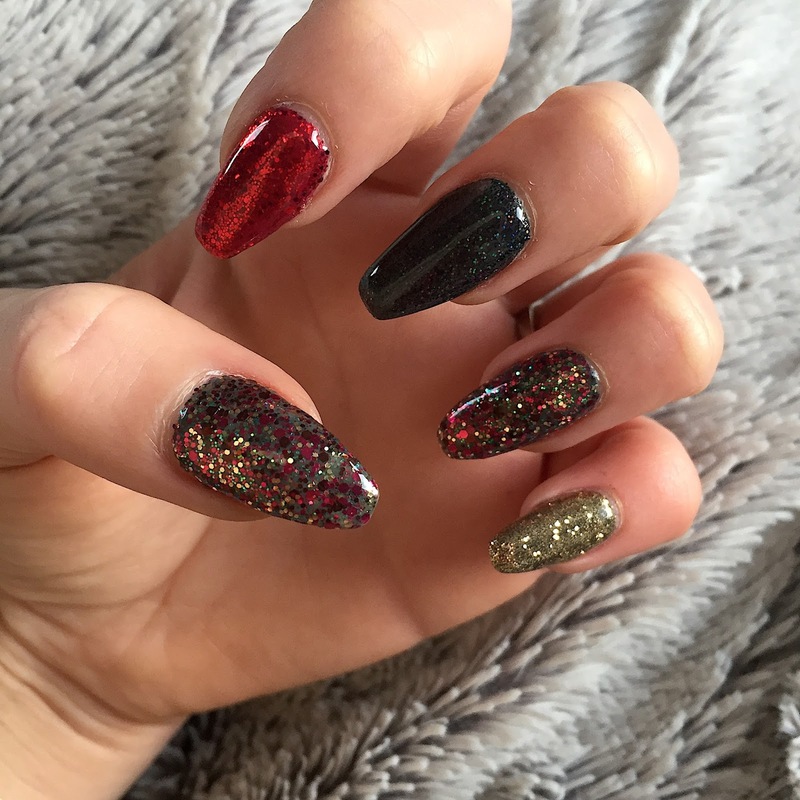 If you can't have glitter on all of your nails at Christmas time, then when can you?! 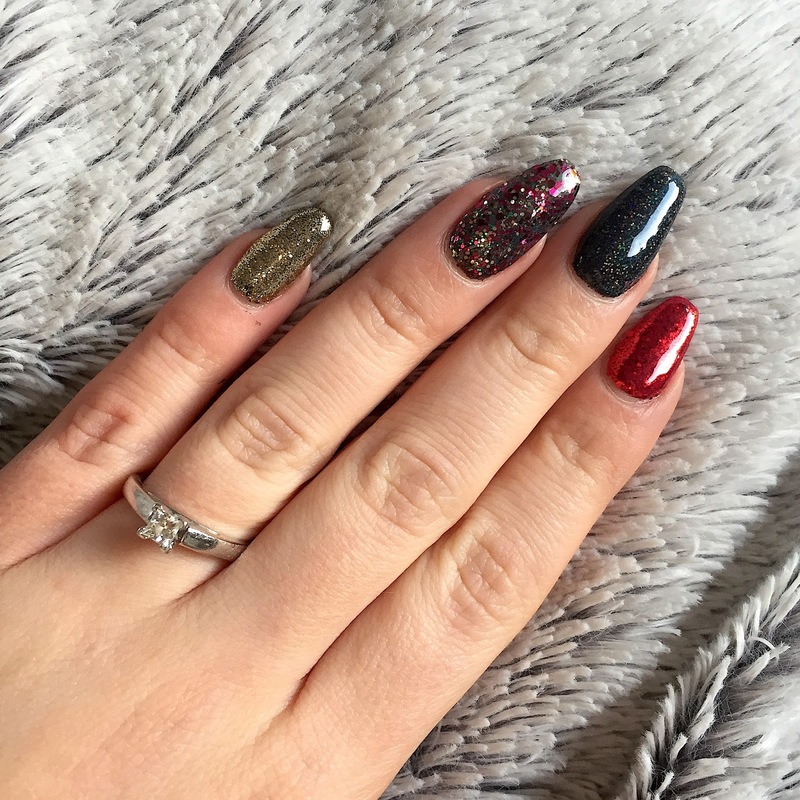 I knew straight away that I wanted some black and gold and was hoping for maybe a Burgundy colour but as soon as I spotted the red glitter and the mixed Christmassy coloured glitter then my mind was made up. Again, the same as my birthday nails these glitters are all from Magpie Beauty. My favourite is Carol so I put it on my ring finger and thumb. It screams Christmas with the red, green and gold and it sparkles differently in all sorts of light. Then on my pink is Goldie and Eartha, a black holographic glitter, is on my middle finger. 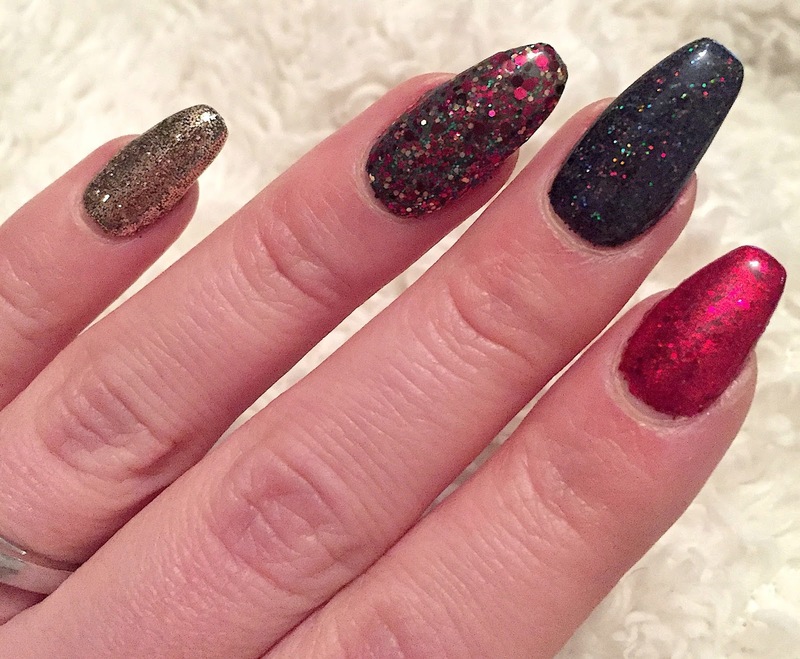 All three of these glitters were put on top of a black base coat. The red glitter that I couldn't resist is called Robin - so perfect. We put that on top of a red base colour to help it really stand out and be a bold, Santa red. I've kept the shape the same as last time, I'm really loving the Ballerina/Coffin shape. Perfect Christmas Glitter Nails.